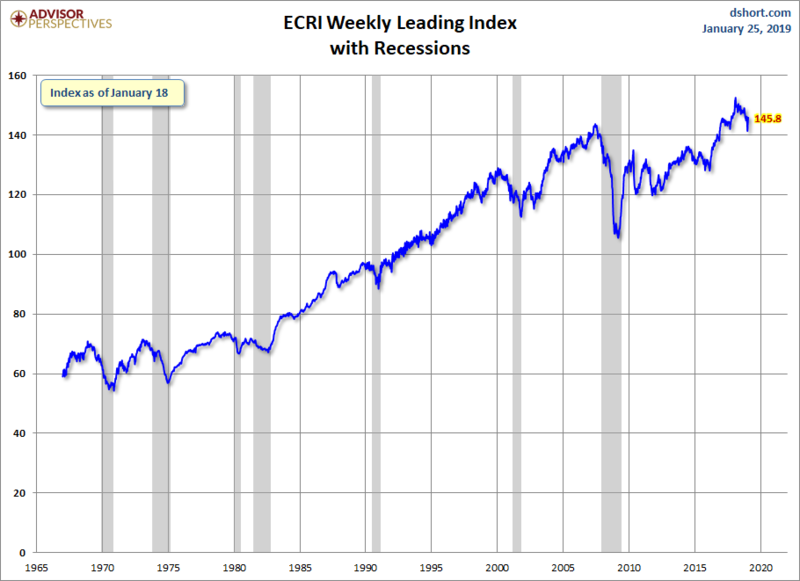 This morning's release of the publicly available data from ECRI puts its Weekly Leading Index (WLI) at 145.8, up 0.6 from the previous week. 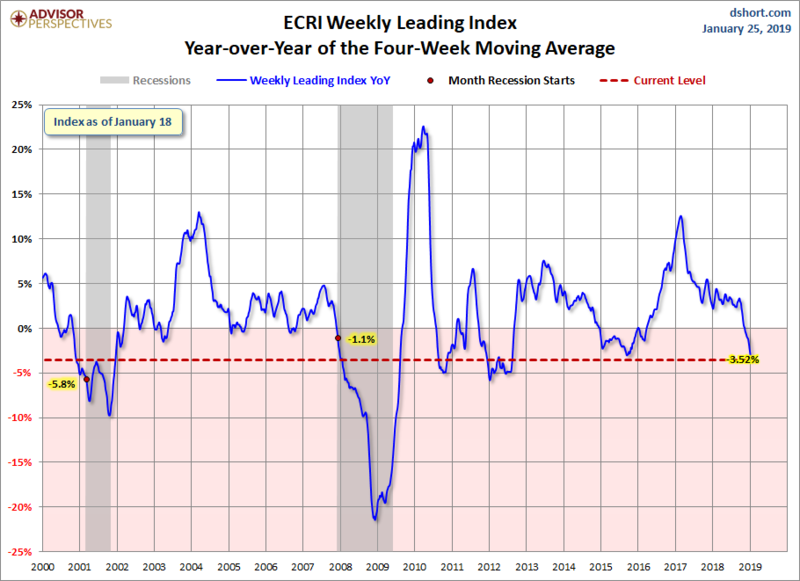 Year-over-year the four-week moving average of the indicator is now at -3.52%, down from last week and its lowest since August 2012. 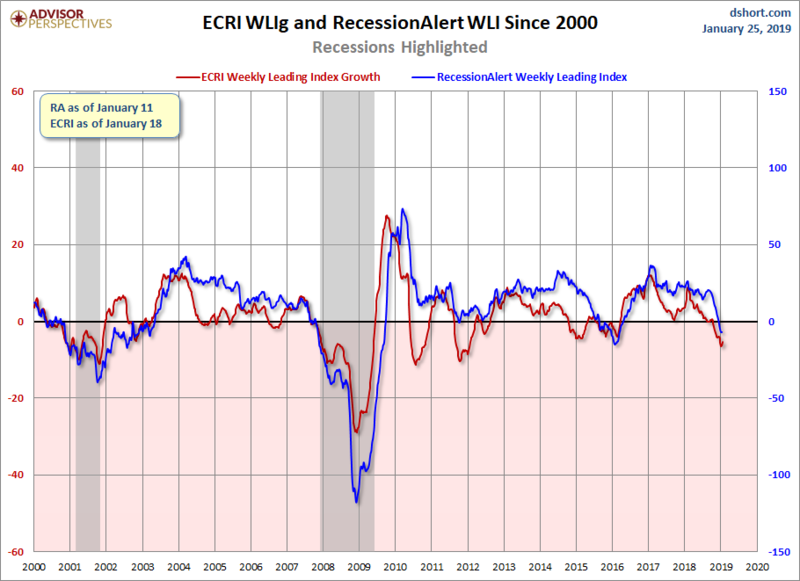 The WLI Growth indicator is now at -5.28, up from the previous week. "Colliding With the Economic Cycle – Again"
ECRI's latest article confirms ECRI's prediction in July 2018 that the Fed's rate hikes would further a slowing economy into a recessionary window and reminds us of a similar situation in 2015. 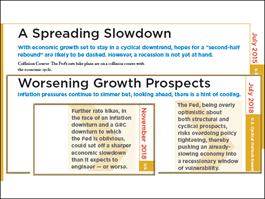 Recently, Fed Chair Jerome Powell reflected on 2016, recalling a course correction in fed rates.